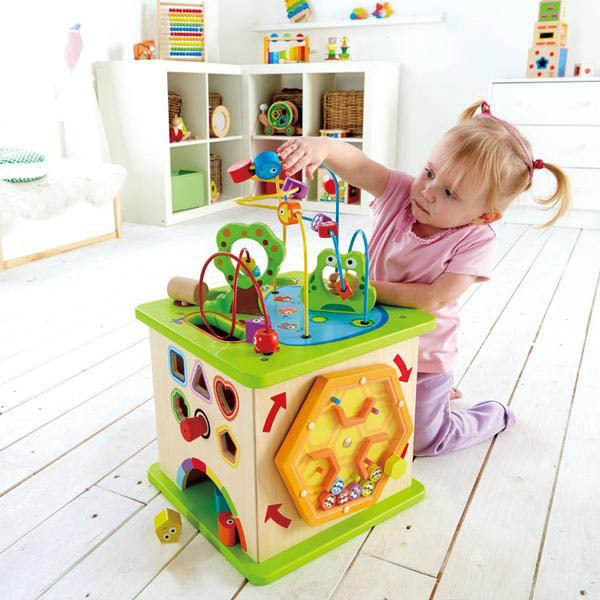 Wooden baby toys from Hape are tons of fun and built to last, like this amazing Country Critter play cube that is a complete activity play center for the nursery. 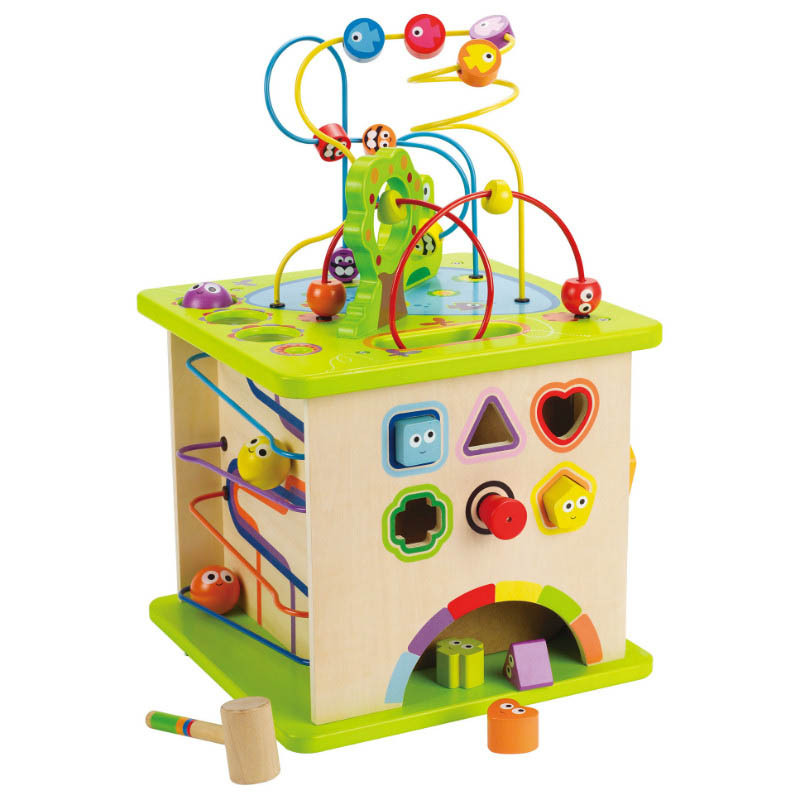 This unique play cube has a shape sorting puzzle, a rotating maze, a ball roller coaster, a tracking panel and a cheery coloured wire maze. 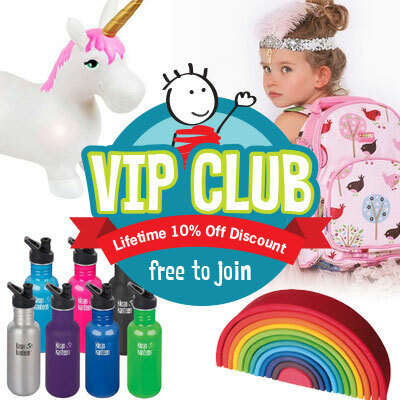 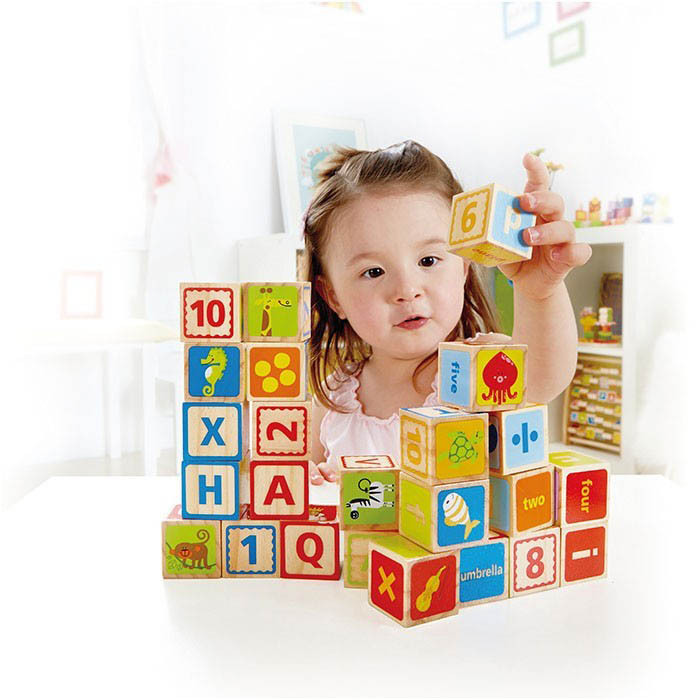 There are also a bevy of “critter” friends to keep your little one company. 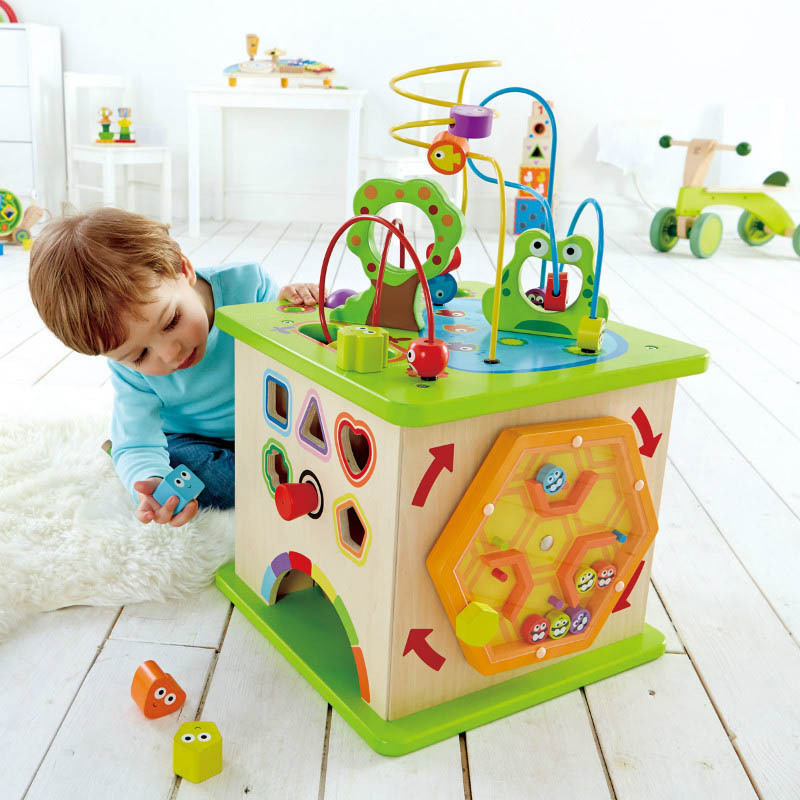 Smartly styled and designed from Baltic Birch and Maple from FSC managed forests with non-toxic, child-safe finishes, this happy and fun-filled activity cube is a perfect addition to your baby’s room. 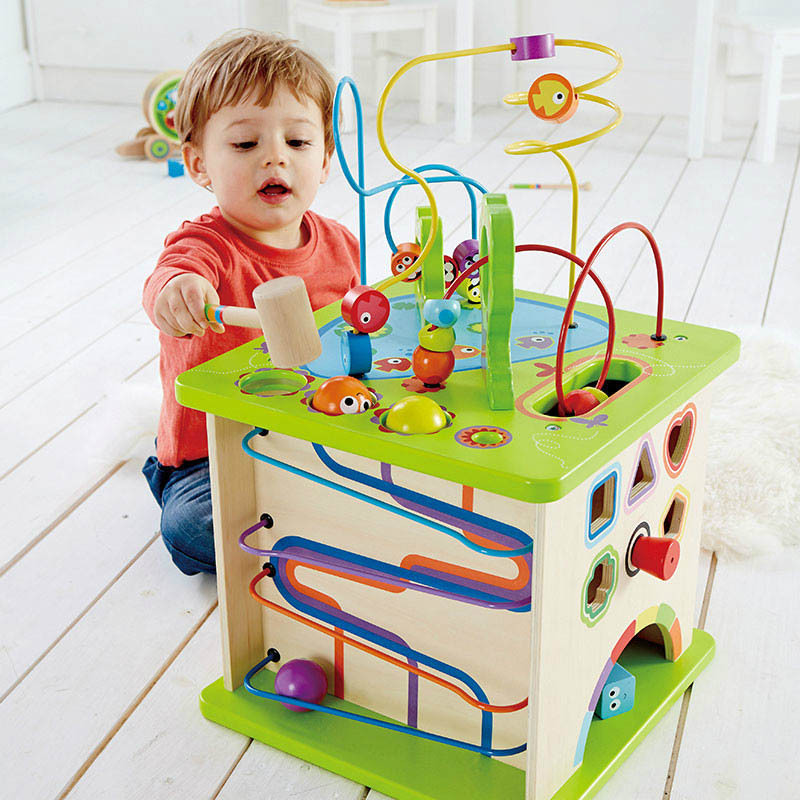 It features mazes, shapes, levers and animals that fly, swim and even croak.